Welcome to the final Parent Council newsletter of the school year. Although I’m sure that you are now all focussed on the end of term, I thought it would be good to look back over the year and update you on some of the Parent Council’s activities. We are also looking for a new member to join us after the summer break – if you want to find out more or think you may be interested in getting involved then please do get in touch. Wishing you all a happy (and hopefully sunny) summer! We have recently welcomed Carol Cook as our Community Representative and are very much looking forward to working with her. Carol runs Pencaitland’s Post office. Sadly, we will be losing Jane Scott as her daughter Molly graduates from P7 shortly. I would like to thank her for her valuable contribution over the last few years – she will be missed! Our AGM was held on the 11th June and you can read our full annual report here [PDF]. 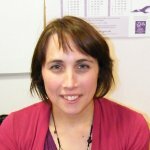 Welcomed Fiona Macartney into her post as Deputy Head, following negotiations with East Lothian Council over redeployment. East Lothian Council have invited PPS PC to contribute to a Policy on Redeployment – this is still an outstanding issue. Consulted you about your views on Homework through on-line surveys, questionnaires and focus groups. We had a fantastic response and your input helped draft a new Homework Policy. This was reviewed by the Parent Council and will be in use from the start of the new school year. Contributed to the school’s internal audit. This gave the Parent Council another opportunity to be involved in staff discussions as to the school’s progress and development. Hosted a second Grandparents Day in partnership with the school. The technology theme for the event tied in with the school’s Curriculum for Excellence priorities. Acquired external funding for the new Sound System, which was successfully used outdoors for the Spring Fayre and on stage for the P7 show. We are very grateful to LEADER funding for their £1,500 contribution and also the PTA who generously matched this amount. We would also like to thank Scott Macdonald and David Jack who donated their time and skills to design and install the new system. Attended regional and national meetings and events, enabling us to exchange ideas with other parents and schools. It allows us to keep an ear to the ground and also represent PPS parents outside school. Traffic in the village is a concern for many parents. The Community Council sought recommendations from East Lothian Council’s Transport department about a number of these issues including car speeding. 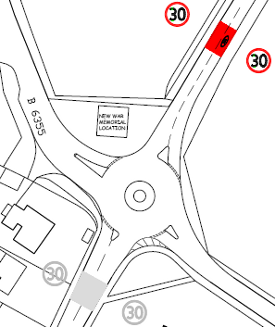 The Council has suggested a new roundabout, narrowing the main road by widening the pavements and moving the 30mph speed signs further out at both ends of the village. The Community Council is very keen to hear the views of parents and carers on these measures. You can read the outline draught proposals here . 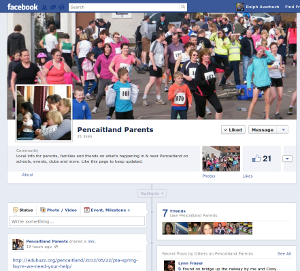 We have now created a Facebook page which is aimed at all parents in Pencaitland and surrounding areas (rather than being limited to PPS). Take a look and read more about what it’s intended to do here. You can also keep in touch with the activities of the Parent Council through the school’s Blog, Twitter and by e-mail. We would like to thank everyone for their support and commitment to the PTA fundraisers over the course of the year. The Spring Fayre raised £1,650 and we are already busy spending the money! Our total fundraising effort for this year has come to over £11,000 and this, alongside the grants awarded to the school which totalled another £11,000, has kept us very busy! It has only been possible because so many fantastic people simply offer up their time to make the events a success. We would like to send you an extra big THANK YOU for your support, it’s really appreciated. Below is an outline of PTA fundraising totals and spending totals for the year. 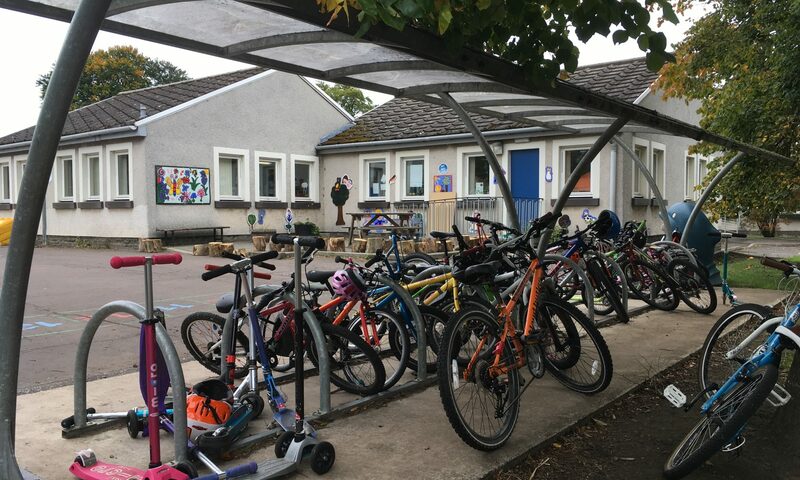 We are still in progress with the work on the lower school library area and 10 out of the required 15 Netbooks for p7 have been funded. Our next challenge is to raise money for the fantastically popular school playground play area and we will be concentrating on this next term. Once again I would like to remind you that the PTA French club will continue to run next term for P1 to P7 at a cost of £3 per session, if your child is interested in coming along on Mondays after school please contact PPSPTA1@gmail.com. Coming up in September we will have the annual general meeting, where there will be a proper account of our years’ activities and a glass of wine. If you are interested in hearing about the antics of the PTA, or would like to join the team for the coming academic year, then please let us know or just come along on the night (date to be confirmed). Everyone welcome! For more details please contact Charlotte at PPSPTA1@gmail.com. Joining the PTA is a lovely way of getting to know the school and indeed the whole village! Hope you have a relaxing holiday!